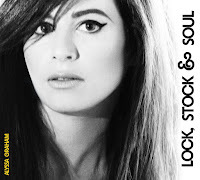 Alyssa Graham joins host Tracy Thibodeaux to discuss her newly released CD, Lock, Stock and Soul. Alyssa updates us on her activities since the successful release last August of the Lock, Stock and Soul EP and fills us in on the video production for the CD's debut single, "Til My Heart Quakes." I am a commercial voice talent (voice actor) who hosts and produces an interview and music podcast show called "Pods o' Pop."